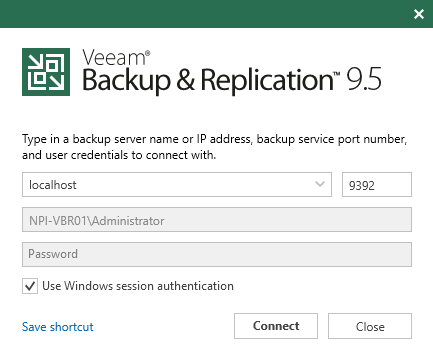 To create a replication job utilizing the DSM Veaam Cloud Connect Service Provider established in the previous steps, perform the following actions. In this example the only configuration change we will make is to remap VM networking. 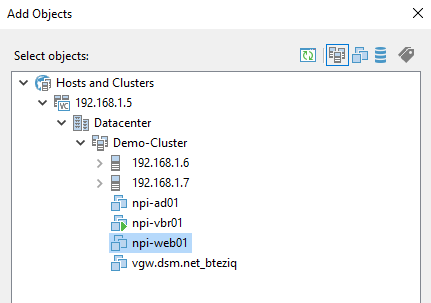 Select the Client Replication VCD listed under the DSM Service Provider. It should default to the appropriate vApp and Storage Policy. If you need assistance with a more complex vApp configuration, reach out to your assigned Cloud Engineer for assistance. Map the source VM network to the Cloud VM network. Assign both the Source network and Target network to the appropriate VM network mapping. This will be unique to your implementation. 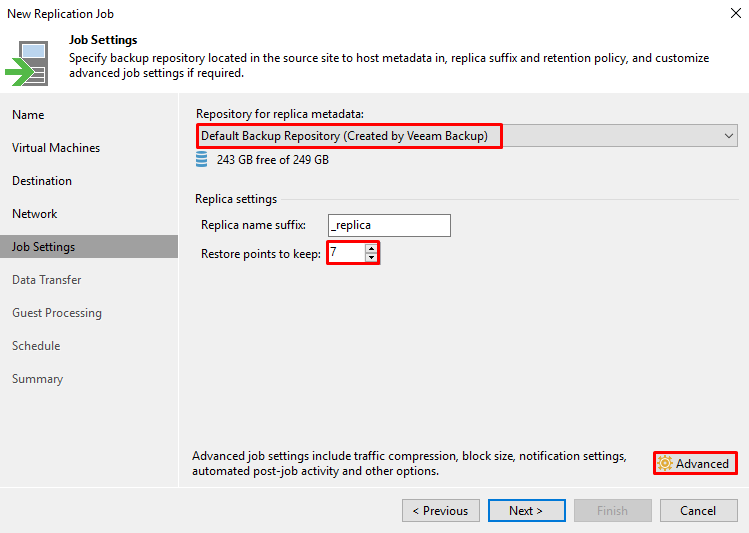 Modify the Repository for replica metadata to suite client needs. Adjust the number of restore points to keep. 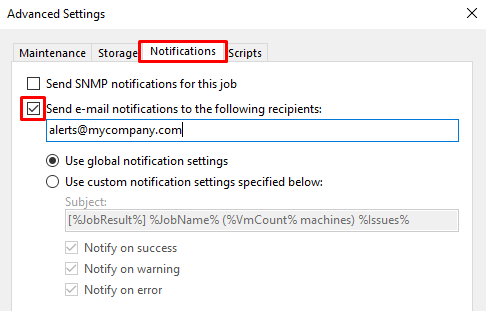 Enter a monitored email address so Replication Job notifications can be reviewed. Select a source proxy if automatic selection is not preferred. 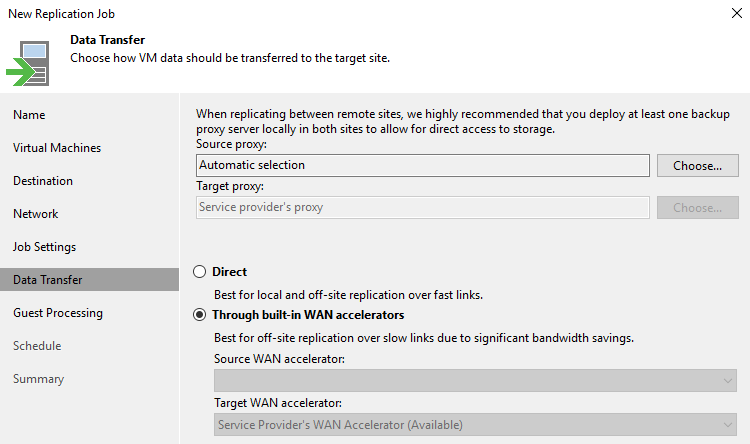 Select Direct if client source side does not have WAN accelerator(s) deployed. Select Through built-in WAN accelerators if WAN accelerators are deployed on client source side and choose WAN accelerator. 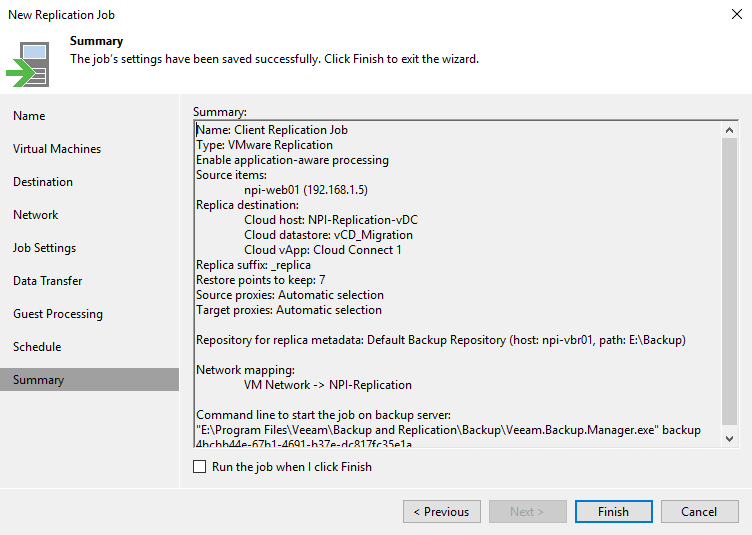 Select Enable application-aware processing if VM’s being replicated require application-consistent backups. 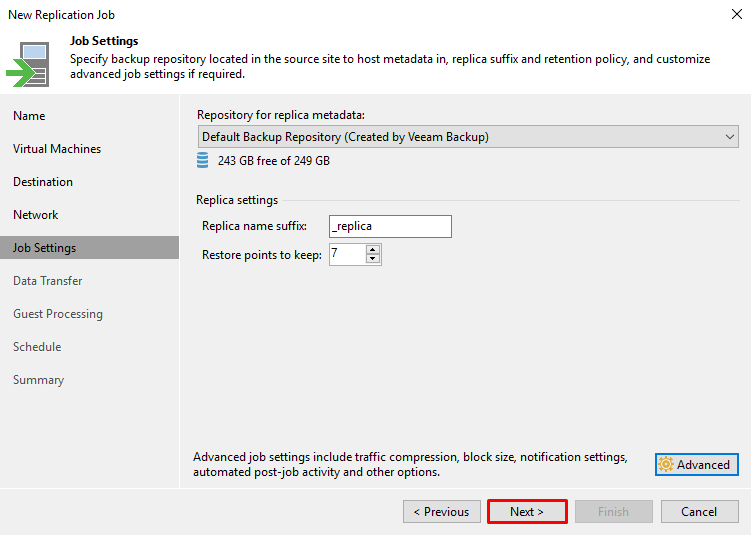 If your backup job is configured to be application-aware then the replication job should typically also be configured to be application-aware. 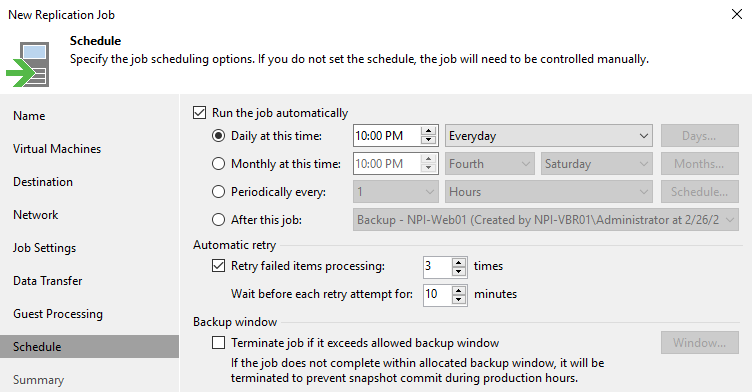 Configure an appropriate schedule for the replication job. Review the summary information and verify the settings are correct.